Olivia Murray is accustomed to hard fights in the courtroom. But when she arrives in Windy Ridge she discovers there is much more to this case than the legal claims—forces of darkness are at work. Windy Ridge quickly turns from quiet Chicago suburb to spiritual battleground, and Olivia must rely on her faith to defend against legal and spiritual attacks. Although they are enemies in the courtroom, Olivia finds a friend and unlikely ally in opposing counsel, Grant Baxter. Once a skeptic about faith, he ultimately comes to her aid when she needs it most. The battle between evil forces heats up in and out of the courtroom, pushing Olivia to the breaking point. Will she be able to help good triumph over evil, or will the town of Windy Ridge be torn apart? 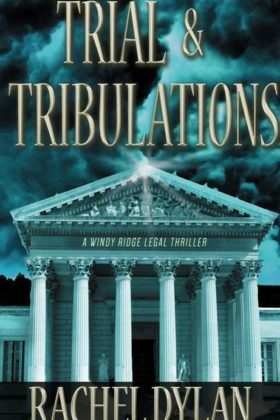 Book 1 of the Windy Ridge Legal Thriller series.